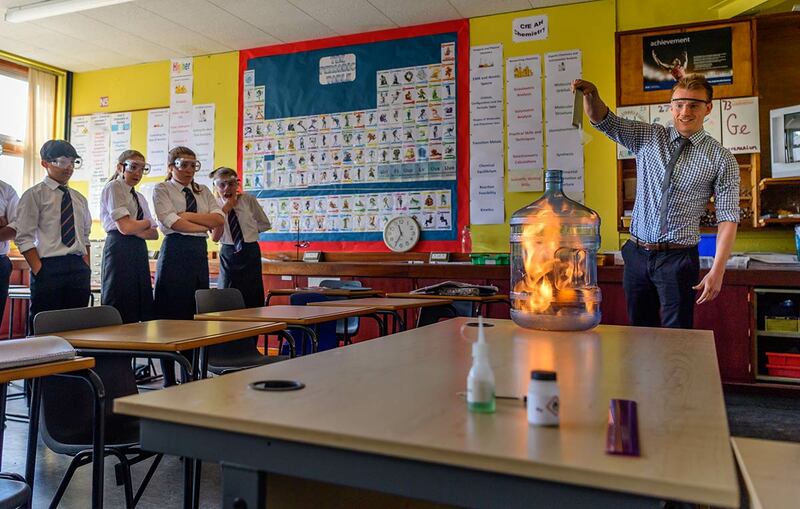 The Department is housed in four well equipped laboratories, giving us the opportunity to provide a wide range of learning experiences for the pupils. 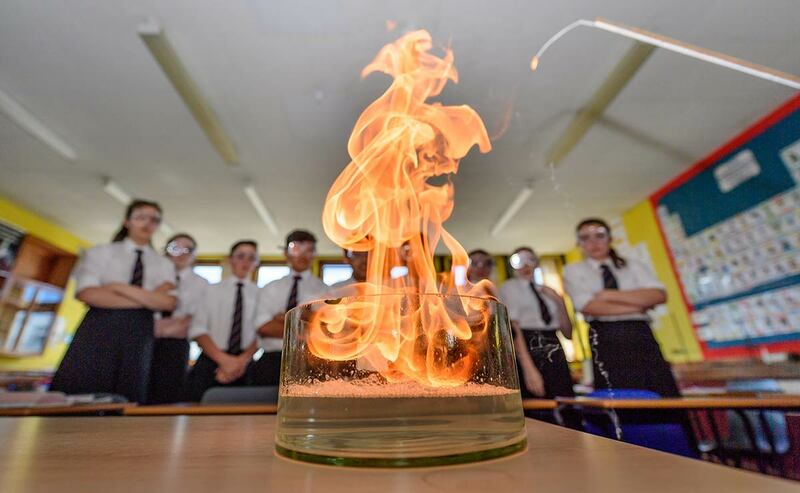 The Science Department believes in providing pupils with a good general scientific background for life and preparing pupils for external exams carried out by the Scottish Qualifications Authority (SQA). The courses give opportunity to develop numeracy, literacy, IT and group working skills for all pupils. This fits in well with the objectives and outcomes of the Curriculum for Excellence. Science subjects have the largest pupil uptake for non-compulsory subjects and generally have very good exam results. We have been pleased to see many students have gone on to successfully study Science or Engineering at university or go straight into technical apprenticeships. S1 and S2 have a general science course for 3 hours per week. The groups study a variety of topics allowing them to access all the experiences and outcomes set out in the Curriculum for Excellence. At the end of S3 the pupils chooses course for the senior phase. Throughout the senior phase we strive to offer courses in which they are pupils are likely to be successful, so different individuals do different course dependent upon their aptitudes and abilities. 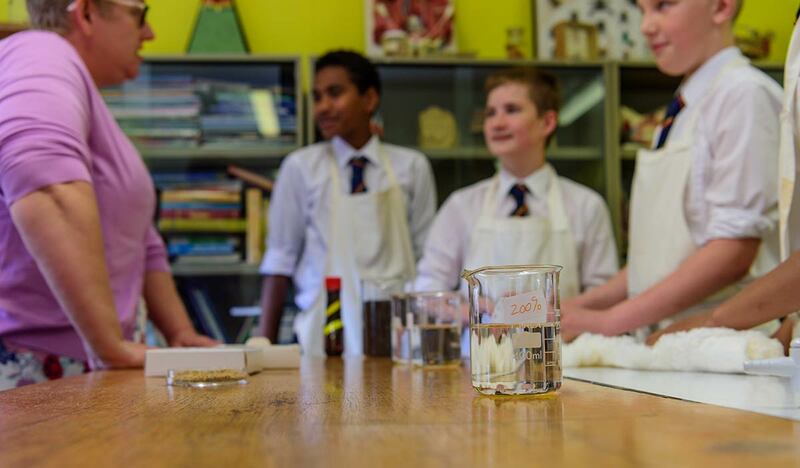 We currently offer Biology, Physics and Chemistry at National 5, Higher and Advanced Higher. We also run a National 4 Science course. Senior phase courses usually have 4.5 hours a week in the department. Advanced higher courses usually have less time with the teaching staff as a great deal of independent learning is expected at that level.